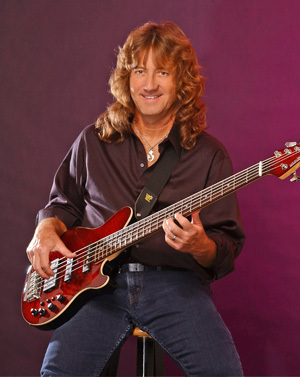 A long time Music Man endorse, Dave LaRue is quite possibly the worlds greatest living bass player. Dave LaRue has been touring and recording with The Dixie Dregs and The Steve Morse Band since 1988. When not working with the Morse band, LaRue is keeping busy working with other artists, including Joe Satriani, Dream Theater's John Petrucci, Vinnie Moore, and the L.A. based band Planet X. He has also released "Dave LaRue: On the Record" a book of his transcriptions through his website. Dave endorses Music Man Bongo 4 and 5 string basses and Ernie Ball strings.